Forever trendy, our signature red and blue Chevron Dress is a game day classic. Made from the finest quality pre-washed cotton blend fabric. Pullover styling with elastic above and below the bust. Includes sash. $34.99 + $5 for Monogram or Personalization. Monogram: Initials in the order they will appear: first initial, LAST name initial (which will be larger and in the center), then middle initial. 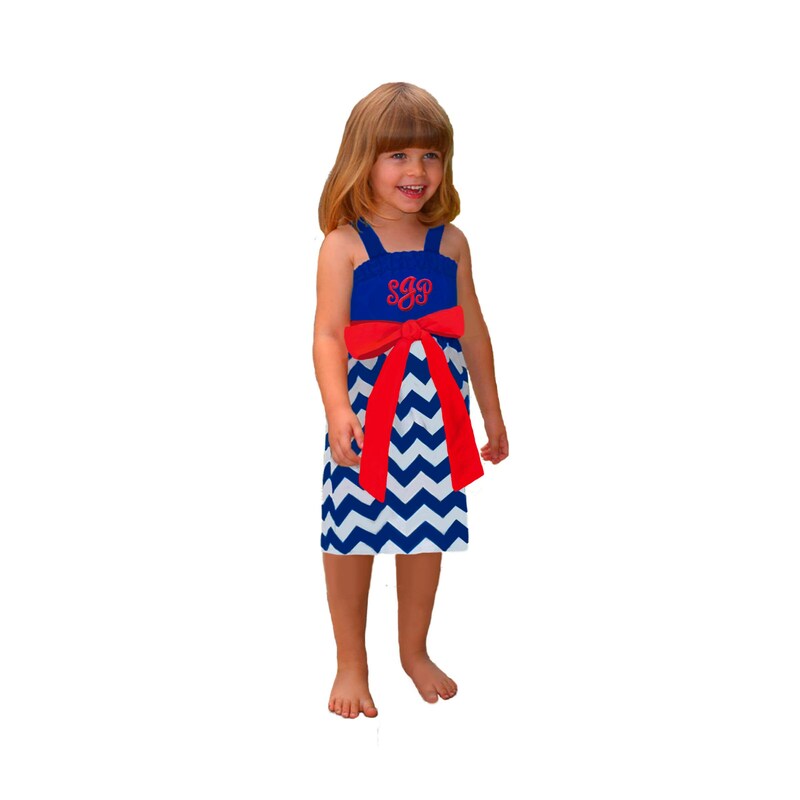 Available in Mommy sizes, too...find under Blue/Navy + Red Collection.